Our journey for Bohdan began 2 years before he was even conceived. Due to my (mom) medical history and implant, we had to see a variety of specialists (anesthesia, neurosurgery, Maternal Fetal Medicine, etc) to determine if it was safe for me and baby to become pregnant, and deliver. My pregnancy was the most difficult experience of my life. I experienced Hyperemesis Gravidarium, Gestational Hypertension, Gestational Diabetes and severe Preeclampsia. Again, it took an army to keep both mom and baby safe (MFM, OB Medicine, OB GYN, Dietician, etc). But even with all our efforts, Bohdan was born at 31 weeks. He was diagnosed with Respiratory Distress Syndrome, as he was not breathing at birth. Intubations, ventilators, oxygen along with so much more kept our baby safe and thriving. Our NICU journey was difficult and amazing. Watching our little man through his battles and conquering them one by one. It was so beautiful to see such strength in such a tiny person. Nothing about my pregnancy and birth was normal. Nothing. As holidays approached in the NICU, I assumed these too would be the same. But no! Project Sweet Peas [a swaddle4swaddle nonprofit partner] brought such happiness and normalcy back to us! For Halloween, they had a photographer and special itty bitty costumes to choose from. For the first time, I was just a mom picking out my son's costume. Then the photo shoot was amazing! We had our first "real" pictures of Bohdan taken, just as we would have if we were home. We cherish that picture of our little a Ninja Turtle. Project Sweet Peas was not done there either. We were given a care package and family photo shoot! How "normal" can you get?! It was so beautiful to get "real" pictures of Bohdan, my husband and myself done. It was such a happy time! One that we had been looking forward to for so long, and then did not think possible until after we got home. It was such a blessing! Bohdan spent a total of 49 days in the Women & Infants Hospital NICU. Project Sweet Peas helped mold those days into positive experiences and cherished memories. The story of swaddle4swaddle began with just one, tiny message that would change the path of my life and my company forever. I received a message from a mama who’d just had her baby girl at 29 weeks. She’d finally been given the “ok” from her daughter’s NICU to bring in items for her baby girl. She decided on a few Audrey’s Bear personalized blankets to help bring love and life to her darling girl’s isolette and asked if I would give her a discount on the blankets. She explained her baby would likely be in the NICU for quite some time, bills were already mounting, and she’d hoped to save a bit here and there where she could. Her story touched my heart greatly, and I SOBBED! I hadn’t had my shop doors open long enough to be able to afford to send her the blankets free of charge, so I offered to sell the blankets for what it cost me to make them. I created them and packaged them with every bit of love and care possible, knowing what a special purpose they would serve. Weeks would follow and I couldn’t stop thinking of that tiny baby girl. I felt a calling to do more. One night, after I dreamt of walking into a NICU and seeing my blankets draped over all of the isolettes in the room, I woke knowing I wanted to use my company as an instrument for doing good in the world. After a bit of brainstorming between my husband, Daniel, and I, we came up with a plan. 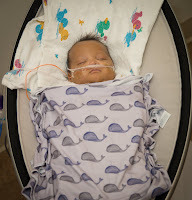 For every swaddle blanket I would sell in my shop, I could donate one to a baby in the NICU. It was a lofty plan, but anyone who knows my husband, knows that if I tell him I want to do something, he will come up with a way to help me do it. He reached out to several NICU support non-profit groups, and we created partnerships with two amazing organizations – Project Sweet Peas and Miracle Babies. 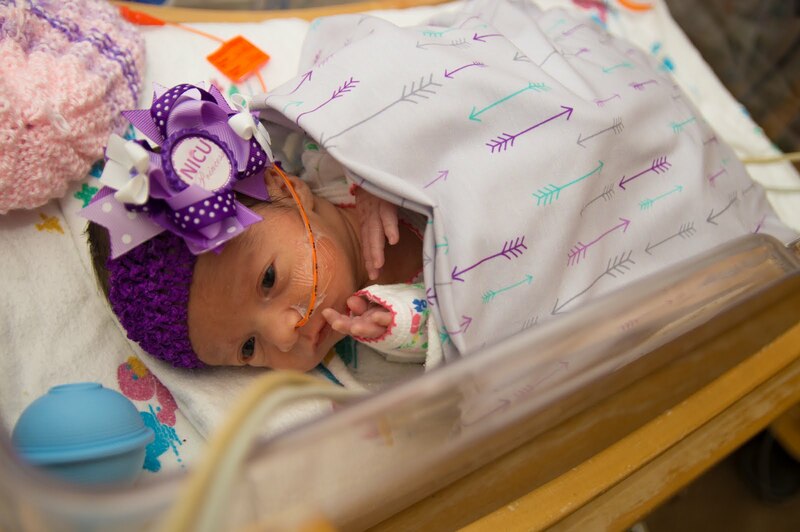 We arranged to send them the blankets, and they would distribute them to NICU babies across the country. And it was then that swaddle4swaddle was born. Months followed and I received another message, this time, from the aunt of a darling, baby girl with cancer. She explained she had formed a team to rally around this sweet girl to support her and her parents during this difficult time. She asked if I would create a blanket just for her. I gladly did. But the thought of the blanket going to a baby fighting cancer was heartbreaking. How could someone so tiny be struggling with something so difficult? It was enough to send me sobbing once more. It was then that we decided to expand our mission for swaddle4swaddle to do what we could to bring smiles to these families as well. We found an organization to help us distribute the blankets to pediatric cancer centers across the US – the Daniel T. Liss Memorial Foundation – and set to work creating blankets to send them as well. Since then, we’ve received countless encouraging messages from the parents of NICU graduates and pediatric cancer survivors. They explain that it was an exceptionally trying time, and that every smile, every laugh, and every act of goodwill is appreciated and never goes unnoticed. The exceptional beauty of swaddle4swaddle is that it is supported by thousands of people through their swaddle blanket purchases. 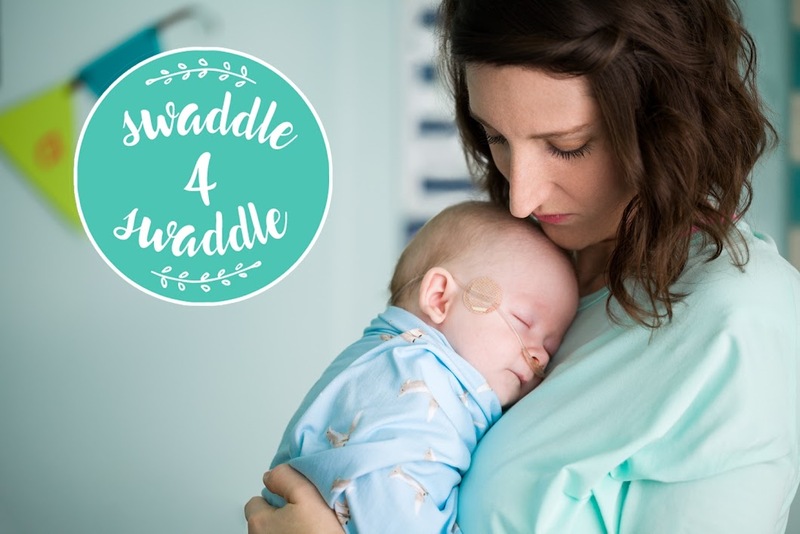 Sensing that this program can and should reach farther, we’ve made swaddle4swaddle its own standalone nonprofit corporation and are so excited about being able to provide blankets to many, many more babies. I can’t thank you all enough for joining us in this effort. YOU are helping to bring smiles when they are needed the most! And for that, we are so appreciative! THANK YOU!! !